Build steps that won't trip you up. Steps are made up of the tread, which is the part you step on, and the rise, which is the part you trip on! It’s important to have the right ratio of tread to rise to make going up and down safe and easy. In general, the smaller the rise, the bigger the tread. 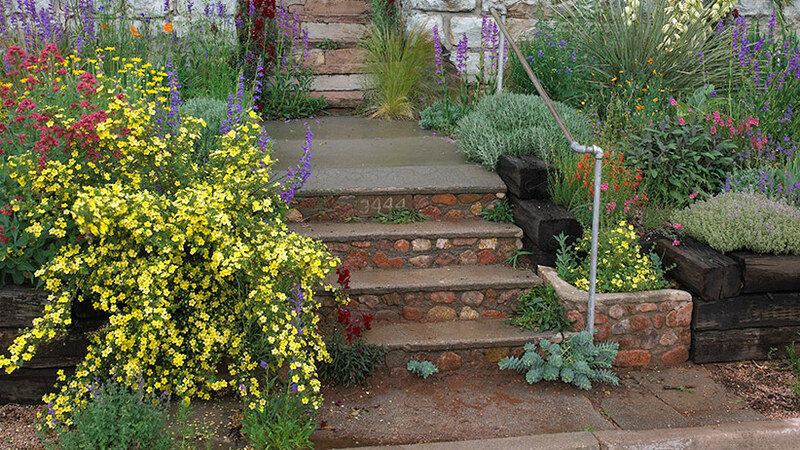 You can choose what’s comfortable for you but generally outdoor steps have a rise of 5 ½ to 7 inches and a tread of 12 to 18 inches. Or use the handy chart below with the ratios already figured for you. You’ll find the tread width in the column on the left and the rise height in the column on the right. 18 in. 4 ½ in. 17 in. 4 ½ in. 16 in. 5 ½ in. 15 in. 5 ½ in. 14 in. 6 ½ in. 13 in. 6 ½ in. 12 in. 7 ½ in.